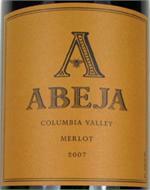 Washington wine is wine produced from grapes grown in the U.S. state of Washington. Washington ranks second in the United States in the production of wine, behind only California. By 2006, the state had over 31,000 acres (130 km2) of vineyards, a harvest of 120,000 short tons (109,000 MT) of grapes, and exports going to over 40 countries around the world from the 500 wineries located in the state. Washington produces a full spectrum of wines ranging from mass-produced to premium boutique wines. 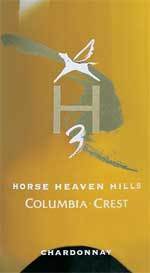 In 2006, The Wine Advocate gave two perfect scores of 100 points for Cabernet Sauvignon wines made by Quilceda Creek Vintners using grapes from several Washington AVAs. Only 15 other American wines have ever been scored so highly by The Wine Advocate, all from California. The nose is attractive and ripe, made of clean stone fruit flavors and vibrant citrus notes. Wine Spectator -- 90 pts. This Riesling is a fantastic offering coming from WA. It has a floral nose of apple to start and opens up nicely. The wine itself is on the dryer side with a nice crisp acidity which makes it very easy and refreshing to drink. Wine Spectator 93. The 2005 Edouard de Rollat is the premier wine of Chateau Rollat. It is perfectly balanced with big, round tannins, complex and sophisticated layers of flavor, and perfect acidity. Wine Enthusiast rating of 95. Vibrant and generous, with a spicy edge to the soft, ripe pear, cream and lime aromas and flavors, lingering on the expressive finish. A blend of 54% Cabernet Sauvignon, 46% Merlot A classic Bordeaux-style wine making protocol enhances the aromatics of earth, coconut, blackberry, and slight mint in this red blend. Wine Spectator 91 points. 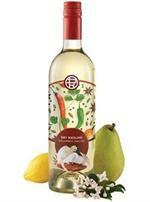 Lithe, vibrant and appealing for its mineral-accented pear, apple and tobacco flavors, lingering on the juicy finish against mouthwatering acidity. WS 93 Pts. - Winemaker Notes - Lewis is a small, family-owned vineyard that has been our primary source for Syrah since we founded Januik Winery in 1999. 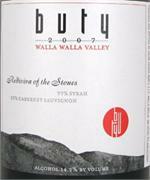 We think this is one of the best Syrah vineyards in the state! 100% Sangiovese: Only two 500 liter barrels of this single vineyard beauty. From the rocks and farmed by Jack, this wine shows tobacco, tiny Italian cherries, leather, and anise. With tannins a plenty this wine is sure to please. Dark as only a well-made and super concentrated domestic Syrah can be, this is impenetrable in color only, as the nose unfolds to reveal gobs of blue and black fruits and exotic, meaty spice notes. 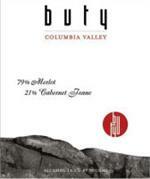 Wine Advocate 92 "The 2008 Merlot (100%) spent 15 months in a mix of new and used French oak. 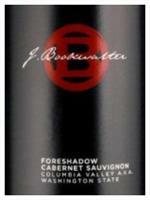 It exhibits an aromatic array of smoke, spice box, violets, black cherry, and black raspberry. Elegant on the palate with excellent volume, concentrated, spicy! 92 WA. The 2006 Sangiovese is dark ruby-colored with a fragrant nose of cigar box, damp earth and smoky black cherry. Supple, ripe, and intense on the palate, it has plenty of savory, spicy cherry fruit, some underlying structure, and exceptional length. Aged for 2 years in 100% new French oak. 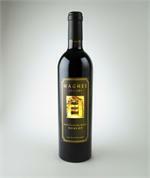 Our Maghee Merlot is generous and full of character. It offers up ripe blackberry, toasty cinnamon, dried spice aromas, bitter chocolate, tobacco, espresso and clove flavors. 91 points and a Smart Buy, Wine Spectator: "Bright and expressive, offering a velvety mouthful of raspberry, cherry, blackberry and sage flavors, finishing with a hint of smoke. Shows depth and persistence. Drink now through 2018. 4,846 cases made." Great dry riesling. 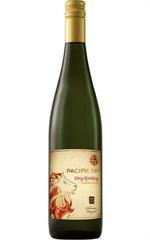 Perfect with grilled tuna, or Asian/ Latin fusion foods. Flavors of citrus and apple on the nose. Crisp apple with nice acidity on the palate. Dry Riesling. Great dry riesling. Perfect with grilled tuna, or Asian/ Latin fusion foods. Flavors of citrus and apple on the nose. Crisp apple with nice acidity on the palate. Dry Riesling. WS 90 Points. Robert Parker 92 "Dark ruby-colored, it has a pretty perfume of pain grille, cassis, and black cherry. On the palate the wine is supple and sweet with a lush texture and fine depth. This nicely balanced effort is drinking well now.